Every aspect of NASA’s Commercial Crew Program spacecraft are being tested for the journey to and from the International Space Station to meet the agency’s mission and safety requirements. Testing from Boeing and SpaceX demonstrates how the systems perform in flight-like scenarios. 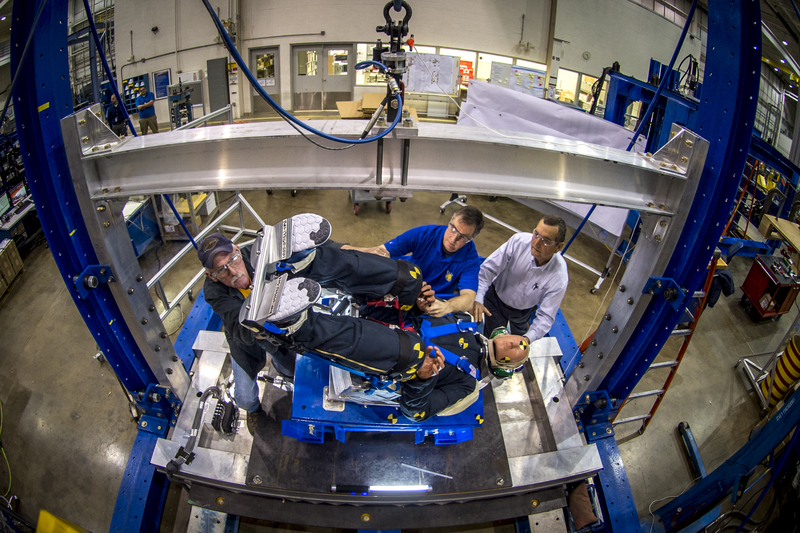 Engineers working with Boeing’s CST-100 Starliner spacecraft recently lab tested their seat design focusing on how the spacecraft seats protect the head, neck and spine of the astronauts for the 240-mile descent from space. 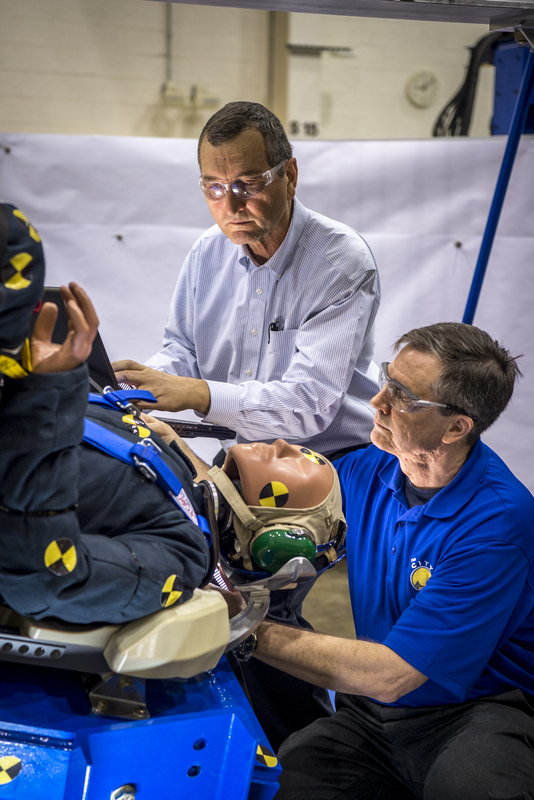 The company incorporated test dummies for a detailed analysis of impacts on a crew returning to Earth. The human-sized dummies were secured in their crew module seats for 30 drop tests at varying heights, angles, velocities and seat orientations, all in an effort to mimic actual landing conditions. To simulate the return, the seats were suspended inside a metal frame and dropped to land on honeycomb-like panels at the base of the test stand meant to function similarly to the Starliner’s landing airbags. The dummies were equipped with sensitive instrumentation to measure the impacts and high-speed cameras were used to capture the footage for further analysis. When the Starliner returns to Earth from the International Space Station, the spacecraft will be slowed by using a choreographed parachute system and will then land on large airbags to further soften the landing in the western region of the United States. The company also will test a full-scale mock-up of the Starliner spacecraft using male and female test dummies at NASA’s Langley Research Facility. The Starliner spacecraft is being developed in partnership with NASA’s Commercial Crew Program. NASA is investing in private industry with a goal of resuming human spaceflight to and from low-Earth orbit from the United States. Starliner will launch on a United Launch Alliance Atlas V rocket at Space Launch Complex 41 to fly up to four astronauts to the space station for NASA missions. NASA also has partnered with SpaceX to develop the Crew Dragon spacecraft and the company’s Falcon 9 rocket. The SpaceX design calls for the Crew Dragon to return with a splashdown in the ocean. Both companies will launch from Florida’s Space Coast. Together, the private companies will provide regular and reliable crew transportation to and from the microgravity outpost for NASA. 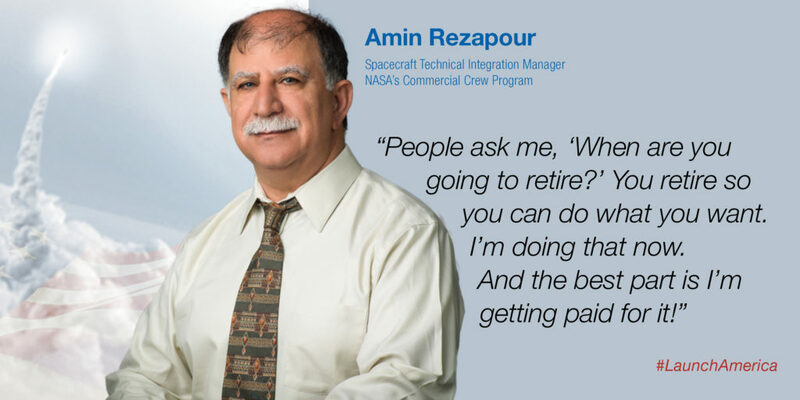 Amin Rezapour is part of NASA’s team of spaceflight specialists who are working closely with the aerospace industry to develop and operate vehicles that can safely fly astronauts to the International Space Station. As the spacecraft technical integration manager for NASA’s Commercial Crew Program, Rezapour works closely with SpaceX as the company builds its Crew Dragon spacecraft.